Indorail - Wholesale Trader of hydraulic press break, band saw & air compressor in Delhi. 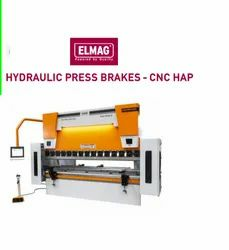 Depending on the model, CNC HAP press brakes offer a bending capacity of 40 to 400 tons and a bending length of 1,270 to 4,100 mm. MAXIMUM DIMENSIONAL ACCURACY `CNC HAP press brakes are high performance sheet metal working machines with precise synchronization and proportional valve technology. They meet the highest demands on the parallelism of the bending tools and offer a very high dimensional stability. The synchronization and linear guidance tolerance of the machine axes is only ± 0.01mm. CNC HAP models come as standard with three automatically controlled axes. The positioning of the vertical axes (Y1, Y2) takes place hydraulically. The backgauge (X) is offset by an electric motor with a speed of 230 mm / s. Two precise ball screws ensure a very accurate positioning. Optionally, a fourth machine axis (R) with fast-running servo drive is available. More than 30 metal band saws, from the compact driving device to the PLC - controlled band saw system with fully automatic material feed. 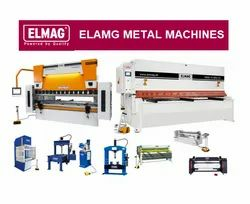 At ELMAG you are guaranteed to find your matching metal band saw. An ELMAG band saw machine is CE compliant and meets the latest safety requirements. Furthermore, a metal band saw from ELMAG convinces through high-quality engineering design, first-class machining and safety functions. 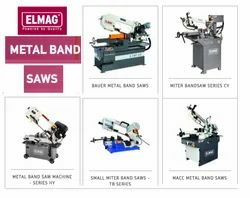 In addition, of course, ELMAG band saws offer maximum precision and cost-effectiveness. ELMAG operates a comprehensive storage program for all products and wearing parts (and of course also for metal band saws). ELMAG band saws are still in use for years to come. On all band saw machines you get 2 years full warranty and 15 years spare part supply guarantee. Machines and devices are selected and tested quality products according to European directives. ( certificate no. 20 1001 51450128). 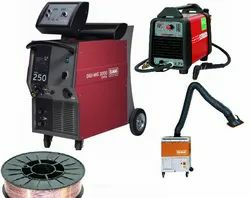 Welding is one of the most important and intriguing metalworking technologies and diverse foundations of modern metal design. No other method combines metal so securely and, when used correctly, offers at least the same strength as the base material. Only find quality products that are the prerequisite for a professional, quality-oriented production. As a system partner for welding technology, ELMAG® offers in-depth product advice and operates a comprehensive stock-keeping program for all products and wearing parts. We bring you forward, if you run out of energy! Our charging / starting devices are suitable for charging smaller batteries up to starting tractors and trucks! form the basis for successful value creation in the machine industry and in the metalworking industry. Like no other process, they enable cost-effective production of workpieces and are ideally suited for efficient serial processing. Metal forming applications are efficient and economical because they usually require only a few steps. ELMAG® products for metal forming technology are therefore the shortest route from semi-finished products to marketable metal products. Powered by Quality - an important motto for fast-moving separation technology machines. ELMAG® products are quality and safety-tested. They convince through high-quality engineering design, first-class machining and safety functions, highest precision and economy. Electricity generators are indispensable helpers for grid-independent energy supply . Electricity generators are very much in vogue. In addition to high demand for lightweight domestic and recreational inverter devices, there is a great deal of interest in robust, easily portable frame construction and assembly equipment. Super-sound-insulated power generators for use in acoustically sensitive areas are extremely successful . These high-quality professional tools can be used stationary or mobile and are installed in energy rooms on axle trailers, utility vehicles or energy containers. Automatic emergency generators are an important part of safety systems. They protect operational, public or private facilities from the consequences of a power outage and secure lighting, server and telecommunications systems, operating and house networks, functional and vital systems. New in the ELMAG® program are tailor -made complete emergency power plants with automatic start-stop and petrol engine or diesel engine. 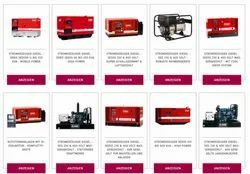 Upon request, other power generators from this catalog can also be upgraded to an individually equipped emergency power system. Automatic remote start systems and remote-controlled devices with remote control via mobile phone and PC take over the automatic operation of the connected consumers via signal or time control and improve the energy management in commercial and agricultural enterprises. on large plants and construction sites. Ideal also combinable as a supplement to PV systems in island operation for alpine huts, holiday homes or generally in areas where there is no public power grid. Especially in combination with an ELMAG® mobile hybrid an economical and ecological solution. 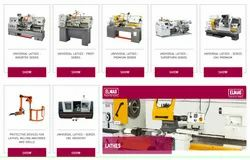 Thanks to good performance data and optimum equipment, the proven ELMAG lathes are among the favorites of the turning specialist and toolmaker. The ELMAG lathe is very well suited for mass production and has a comprehensive standard equipment. With a tip width of 300 to 3,000 mm, turning diameter max. 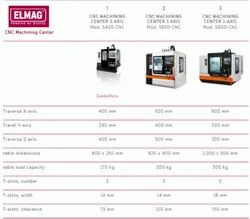 180 to 800 mm - in line with demand, the ELMAG lathes program has been considerably expanded and ranges from the ergonomically optimized small lathe to extra heavy, semi - automated lathes for industrial series production. Numerous lathes are equipped with a digital position indicator from SINO. 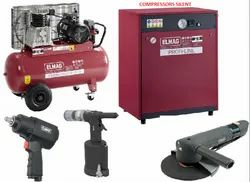 ELMAG - PNEUMATIC TOOLSThe cutting-edge ELMAG pneumatic tools are highly ergonomic high-tech products for trade, commerce and industry, but also for private workshops and garages. ELMAG - AIR TOOL IN EPS DESIGNThe ELMAG pneumatic tool range impresses with its technical aesthetics and functional design down to the last detail. Robust lightweight materials with pronounced stability enable a particularly ideal design. The compact, handy design corresponds directly to the intended use. 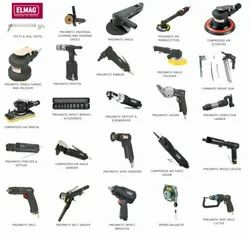 ELMAG - PNEUMATIC TOOL: EPS ERGONOMICSThanks to their low weight and optimal tool balance, ELMAG pneumatic tools are not only very easy to handle, they are also extremely user-friendly. Its modern, grip-proof surface structure ensures precise handling in every situation. EPS AIR TOOL TECHNOLOGYDeveloped under real practical conditions in the technical laboratory, EPS pneumatic tools are characterized by outstanding technical perfection. Tight manufacturing tolerances, self-centering, precision-ground air motors and high-precision quality bearings from leading brand manufacturers ensure improved running smoothness, optimized air consumption and maximum product performance. 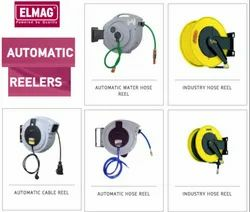 Automatic hose reels or cable reels from ELMAG make an important contribution to accident prevention on construction sites, in garages and workshops, in agriculture and horticulture, trade and industry. During use, automatic hose reels or cable reels allow the desired hose length to be unrolled quickly and easily. After use, you can roll them up again within a very short time and you always have a tidy and organized workplace. For example, ELMAG hose reels and cable reels improve functionality and safety, and the hoses and cables are protected against wear and breakage.